Although more than happy with his debut-season return for 1. 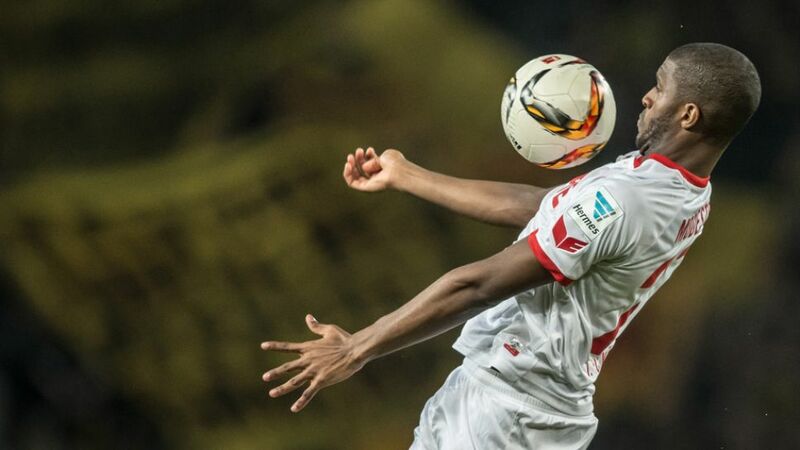 FC Köln, Anthony Modeste insists he still has much more to give. Speaking exclusively to bundesliga.com, the French striker reviews the recently ended 2015/16 campaign with a view to improving on his handsome 15-goal haul and the Billy Goats' ninth-placed finish next term. bundesliga.com: Anthony Modeste, how's your summer break going so far? Anthony Modeste: It does you really good to shut off, even though I'm playing a bit of sport every day. I want to be in top shape when pre-season training starts. There's no way I'd take a break from sport. bundesliga.com: Now you've had a couple of weeks to digest it, what did you make of 1. FC Köln's season in 2015/16? Modeste: It was a positive campaign. The Hinrunde went well. After that, we had a few difficulties, before getting back on track again. The European places were in touching distance, but we weren't consistent enough. It's a young team, though, so we can be really happy with it overall. Modeste: I can always sense the faith he has in me. It's a wonderful feeling. His positivity and the way he communicates with me ensured that I was able to meet expectations this season. He definitely played a big role in that. bundesliga.com: Was the Mainz game the most important of the season? Modeste: Yes, but I'd also say the home game against Borussia Dortmund before Christmas. Again we were behind, but we showed passion and managed to win it late on. The atmosphere in our stadium was incredible. bundesliga.com: With 15 goals, did you reach your personal goal? Modeste: Absolutely. I was on a mission to score lots of goals in order to help the team stay up. I know I could have scored more goals. I know I can still get better. bundesliga.com: What's your take on the coming season? Modeste: As I said, we've got a young team that will go out there with a lot more experience. Perhaps we can play with more confidence and secure our top-flight status earlier than we did this season.